Ricoh INTERACT 2018. Highlights from the User Community Event. User groups and events offer a unique opportunity to network with peers, provide feedback, and learn more about existing and future technologies. Ricoh recently held the INTERACT User Community event from June 18 to 21, 2018 at the Westin Westminster Hotel in Westminster, CO. INTERACT is focused on education, providing several tracks including Business Development, Print Solutions, Take a Look at Ricoh, and a user group for the RICOH ProcessDirector workflow management solution. The event kicked off with a keynote presentation from Kenneth W. Gronbach, president, KGC Direct, LLC, and author of the best-selling book, The Age Curve: How to Profit from the Coming Demographic Storm and his new book Upside: Profiting from the Profound Demographic Shifts Ahead. 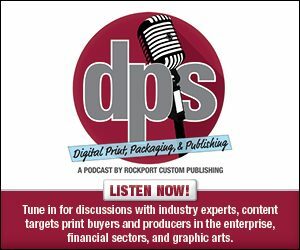 The presentation discussed why the print industry should consider the demands of millennials. Above: Ricoh recently held the INTERACT User Community event from June 18 to 21, 2018. It included tours of the company’s Customer Experience Center in Boulder, CO.
Ricoh utilized the event to announce several new products and services. Attendees experienced many of them first hand with a short drive to Boulder, CO where the Customer Experience Center resides. Among the announcements, the company introduced updates to its continuous inkjet solution with the unveiling of the RICOH Pro VC70000. Building off of the RICOH Pro VC60000, the press features a new ink set and drying system to improve performance. Visitors to the Customer Experience Center also received a demonstration of the company’s new RICOH Pro C9200 and C9210 Graphic Arts Edition production presses, which were released this Spring. Ricoh also teased the RICOH Pro C7200 series, which was officially released in July. The series features both Graphic Arts and fifth color station models. Ricoh also highlighted its efforts in augmented reality (AR) with the release of Introduction to Graphic Communication, Second Edition—a textbook that includes interactive content written by Dr. Harvey Levenson and John Parsons.